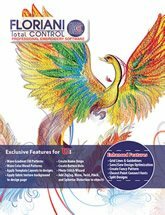 This Class is FREE to all Floriani Software Users. Requirements: Please bring your computer. It must have the Floriani software downloaded to it.